Epson Workforce DS-510 560 Document Scanner Feed Roller Assembly Kit (100 000 Yield). 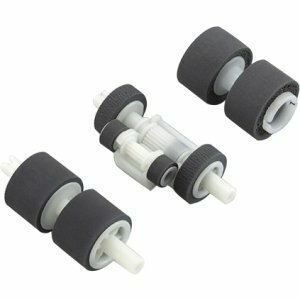 This kit contains user-replaceable feed rollers for the Workforce DS-510/DS-560. It is recommended to replace the rollers every 100 000 sheets .Epson Workforce DS-510 560 Document Scanner Feed Roller Assembly Kit (100 000 Yield). OEM Color Laser Parts.